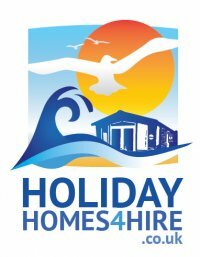 Stunning Platinum top of the range luxury holiday home located on Reighton Sands Holiday resort in between Bridlington and Scarborough, a fantastic family holiday resort with direct access to the beach. The holiday resort has everything you need and is a truly lovely place to relax while the children enjoy themselves. The resort has and in-door swimming pool with and out-door lazy river which is open at selective times weather permitting. There is a large amusement arcade, Cooks Fish and Chips restaurant and take away. Large show bar for children’s and adult entertainment shown daily. The Hawkswood Bar and restaurant which also has a large conservatory leading to a large secure children’s play area so the child can entertain themselves in a secure safe environment while you relax for a meal, coffee or something of the more alcoholic nature. Reighton sands also has its own large grocery store where you can buy everything you need for cook a proper meal to purchasing you BBQ items and of course bottle and cans of the smiley stuff. There is direct access to the beach, you can walk to the beach or choose to ride on the Reighton Sands train, this will take you directly onto the beach, half way down the beach access there is a cafe and a shop you can buy beach essentials and of course a relaxing coffee or cold drink. 40ft x 13ft 2 Bedroom 6 berth top of the range holiday home. Enormous 28ft x 8ft x 3ft full wrap (L shape) decking. Fully double glazed and gas central heating. Double front patio doors leading on decking. 2 arm chairs and 3 seater sofa\Sofa bed. Large square kitchen with ample storage. Twin room with 3ft wide single beds and storage. En-suit bathroom and large shower. The Location of the holiday home. The holiday home is located 150 yards to the main complex so just a few minutes’ walk. Located on Orchard Court which is a sought after area. Placed in a cul-de-sac so no passing traffic with a communal grassed are directly in front of the holiday home. Please note we do not supply passes needed for the onsite facilities but these can be purchased from the resort reception if required. The caravan is lovely. Everything you could possibly need. A real home from home. Good communication throughout. Myself and Mrs Peck were devastated to leave. The photos really don't do this beautiful caravan justice! We thoroughly enjoyed our week ,it was home from home.Highly recommend this beautiful caravan.Lovely location on site and plenty of space inside too. We found the site very convenient for nearby locations. The caravan was comfortable and had all facilities, maybe a washing machine rather than the dishwasher would be more suitable. Overall the whole experience was very enjoyable. Had a 10 night stay here great location close to everything and absolutely gorgeous accomadation. The outside fecking area was great and interior immaculate. Would love to visit again! Lovely caravan with everything you could need, two bathrooms both with showers, was lovely and clean on arrival, in a great location close to amenities and beach etc. Booked against late availability, customer service was excellent caravan superb site immaculate weather awesome what more could you want ! This was our fourth or fifth time booking with Andy and yet again highest quality service. Nothing is too much trouble for Andy. As for the caravans I can’t say how much I wish it was my weekend hideaway every week!!! The interior and exterior facilities are if the highest quality if you are thinking of booking do not hesitate. Excellent accommodation, lovely and clean and really high calibur. Communication brilliant. Can’t be faulted. Wouldn't hesitate to book this lovely van again, clean and very comfortable, everything you need in a holiday home, great for dogs with the gated decking so no worrying that your dog will run off. This was our second visit to Reighton and will be back again and would highly recommend Andy to anyone. Excellent park, excellent van, excellent service and communication. will be booking again.